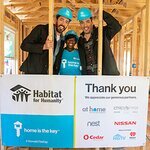 Rock band Daughtry is making a major contribution to Habitat Hammers Back, Habitat For Humanity's initiative effort helping to repair and rebuild in the aftermath of hurricanes Harvey and Irma. 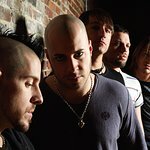 The band is donating $50,000 and is encouraging their fans to contribute as well. Working through its local offices as well as by deploying trained Disaster Corps volunteers, Habitat conducts rapid assessments of storm damage and helps clean out homes damaged by winds and floodwaters. Habitat’s long-term post-disaster recovery efforts include repair of damaged homes and construction of new affordable homes. Construction plans are determined after evaluations and are dependent on the level of support received from donors, volunteers, corporate partners and other community organizations. More information on Habitat for Humanity’s response to Hurricane Harvey and Hurricane Irma can be found at habitat.org/hurricanes.